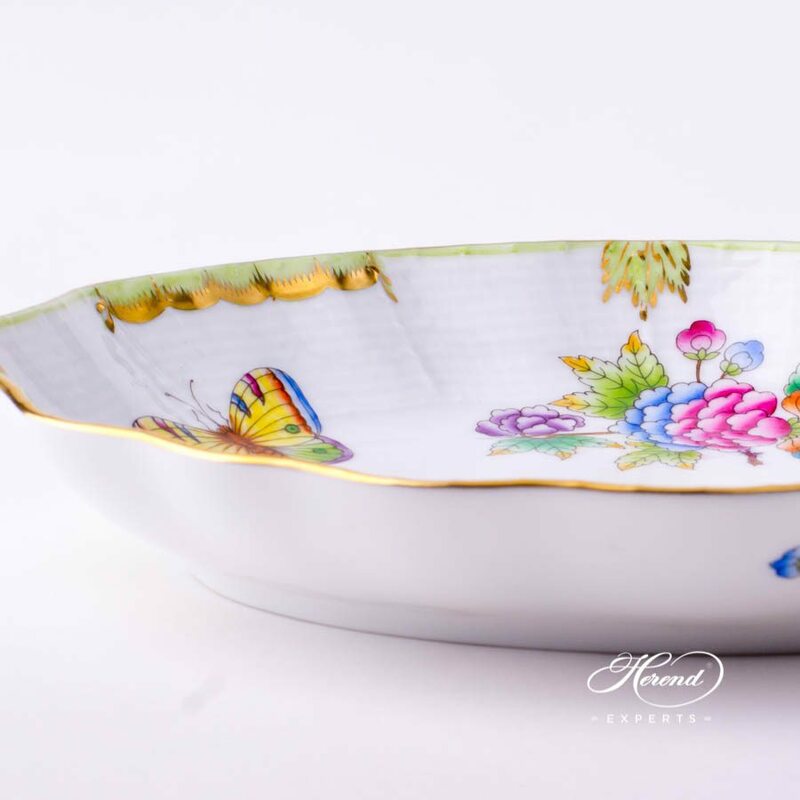 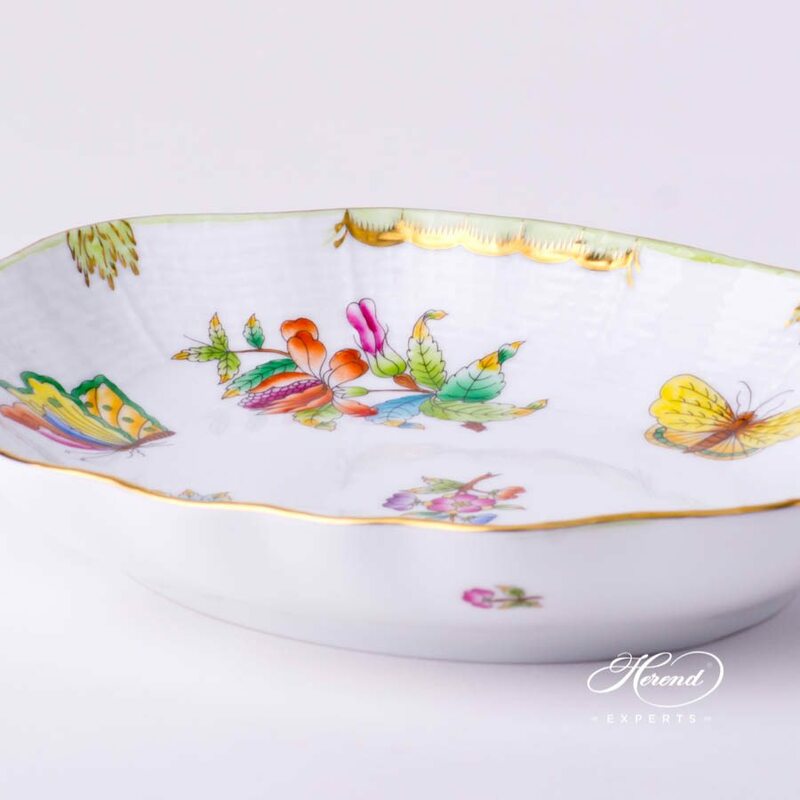 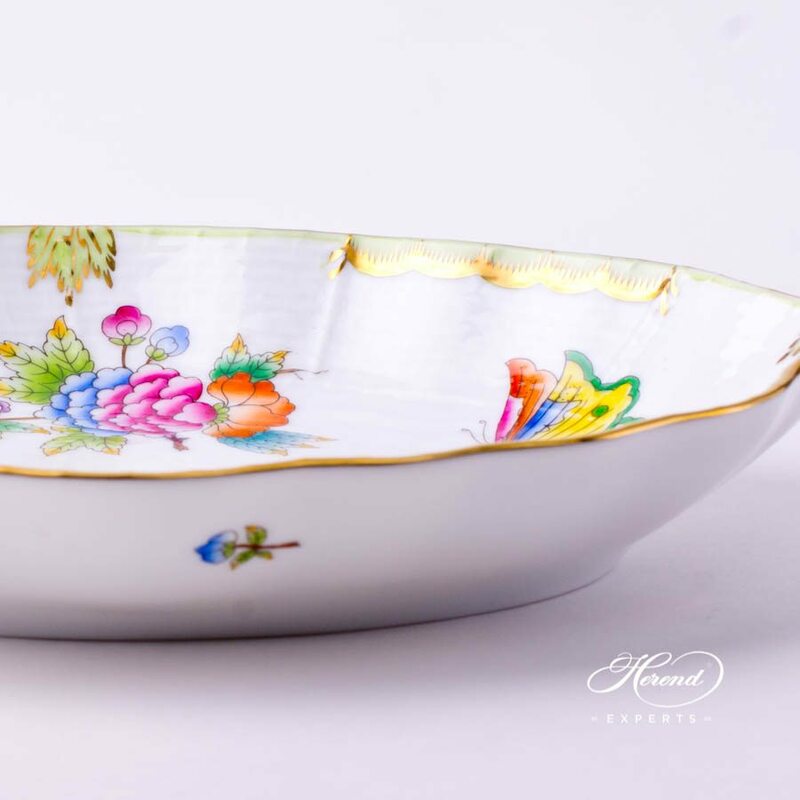 Herend porcelain Oval Dish - Herend Queen Victoria VBO design. 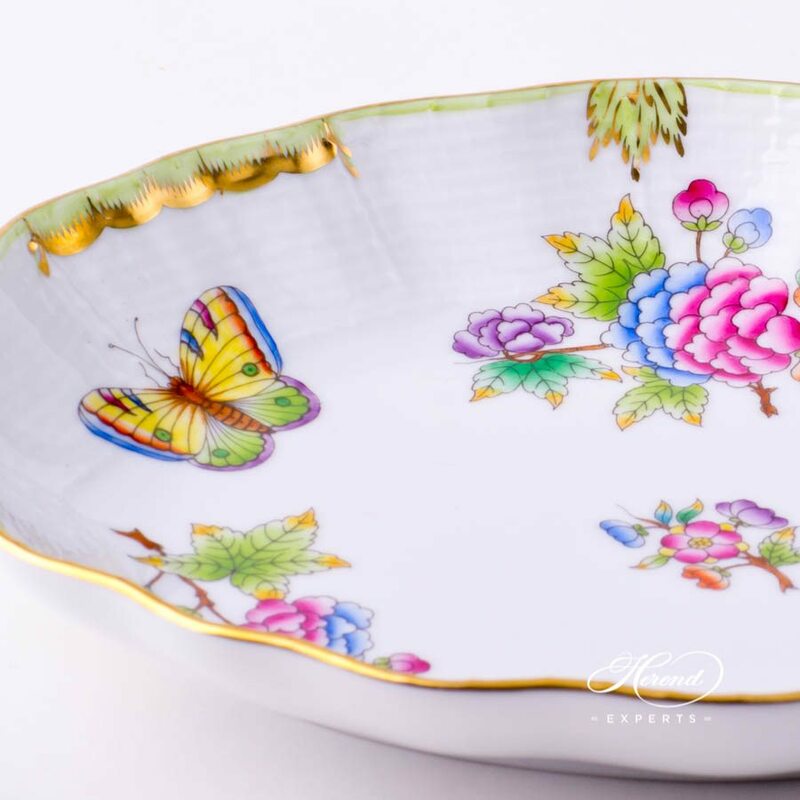 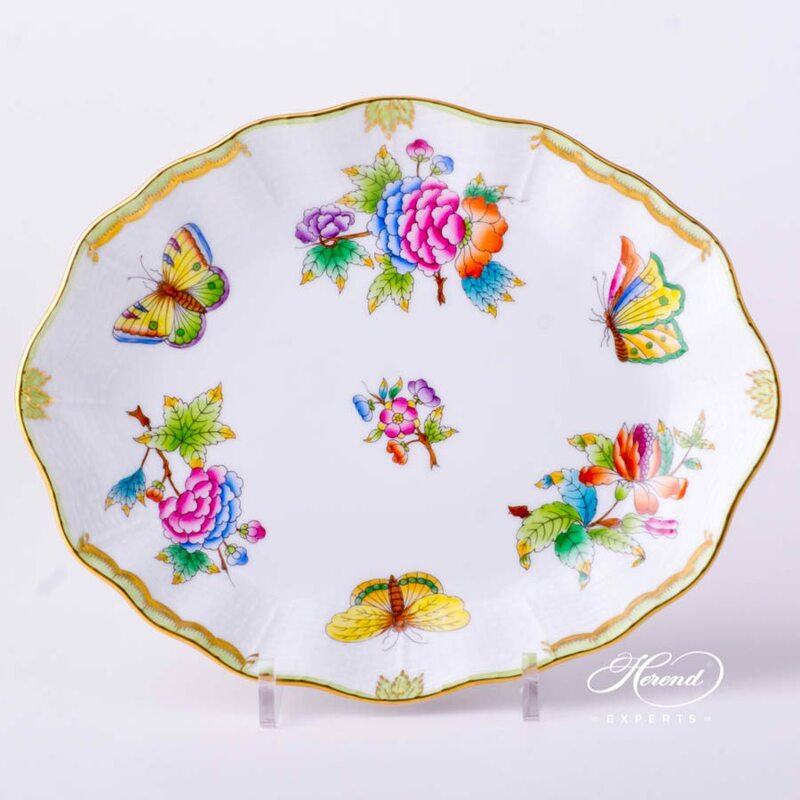 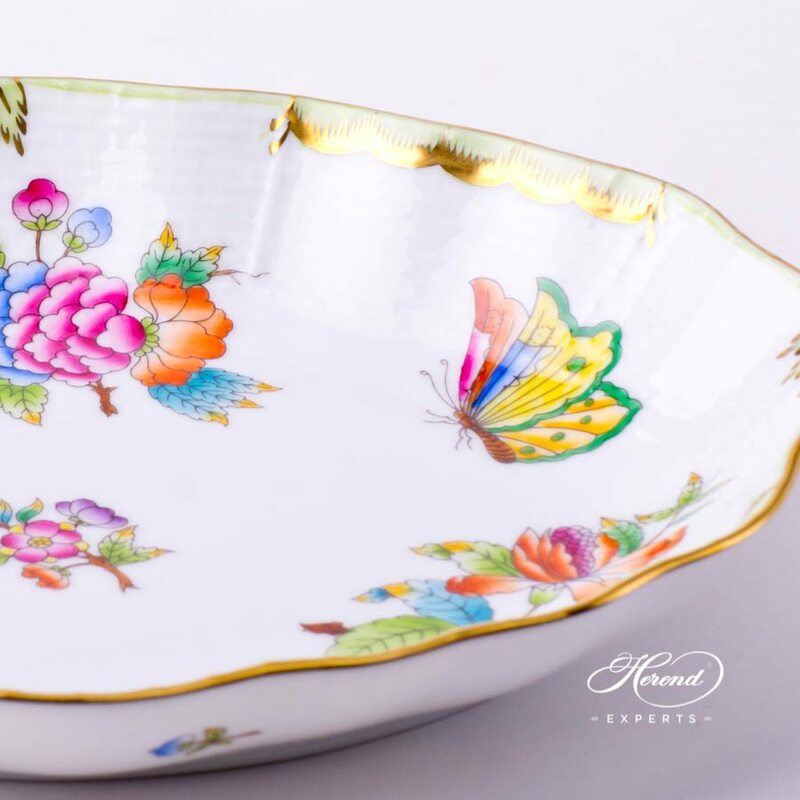 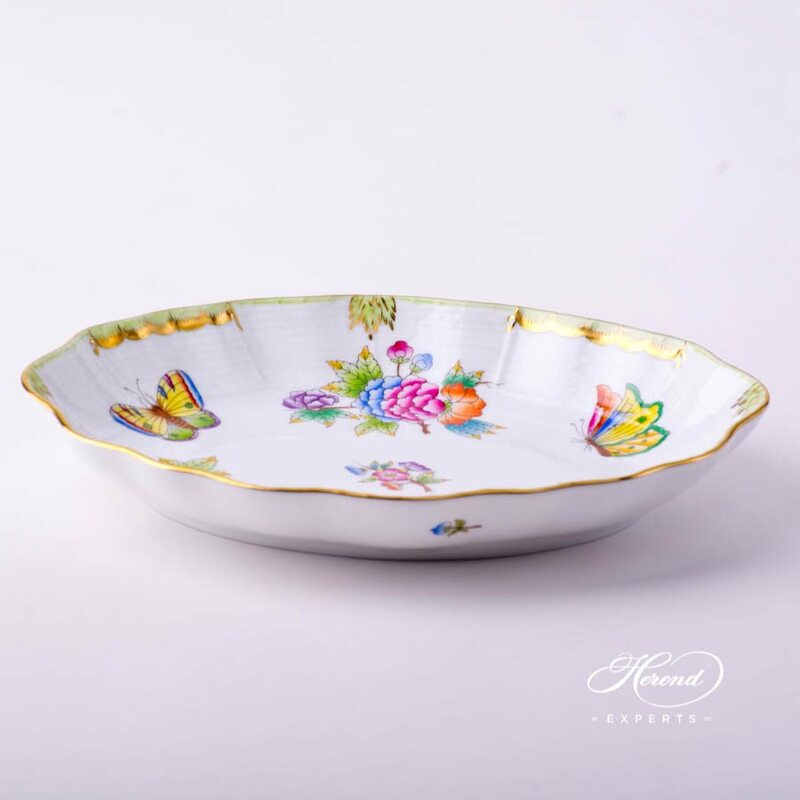 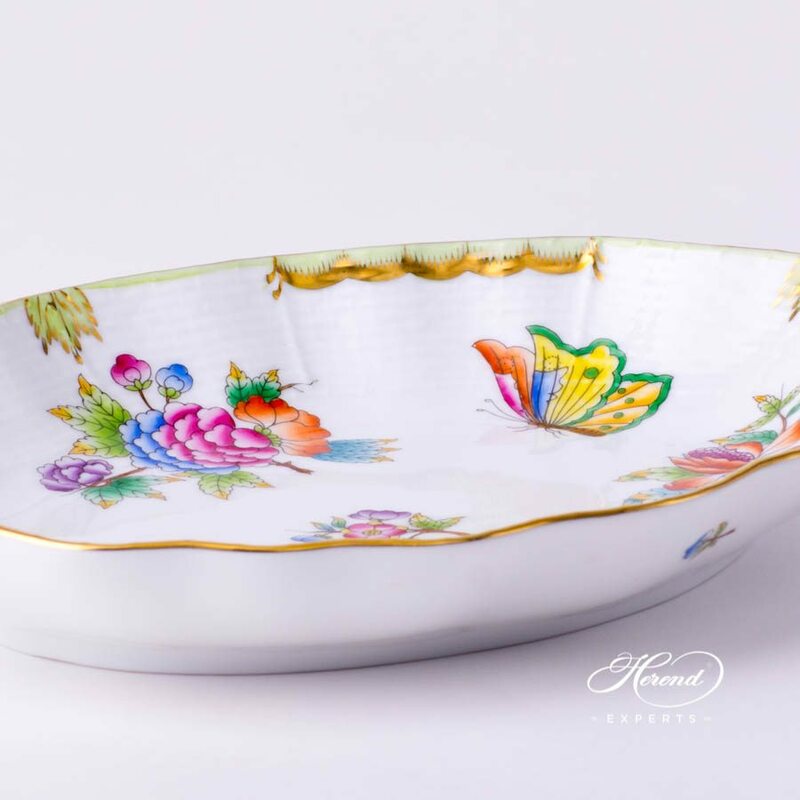 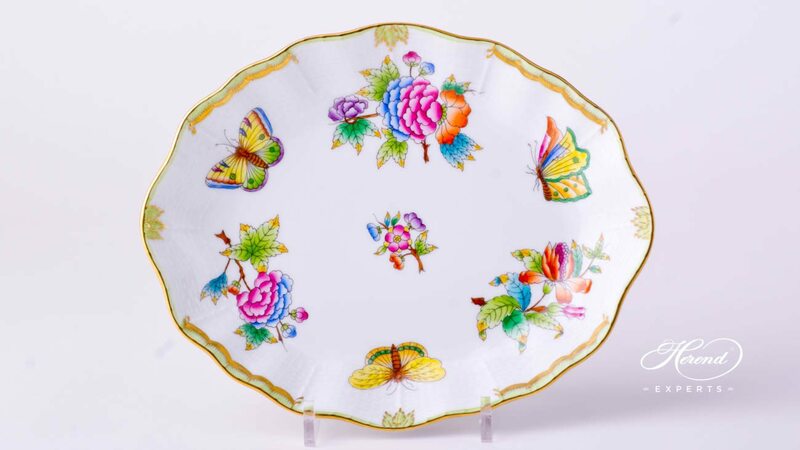 Herend Queen Victoria VBO design painted in Peony Flowers and Butterflies. 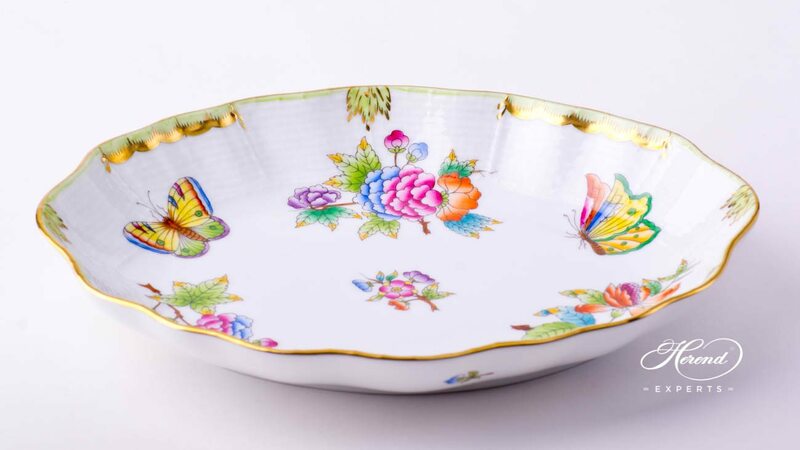 This Oval Dish is an ideal choice to all Queen Victoria VBO Sets. 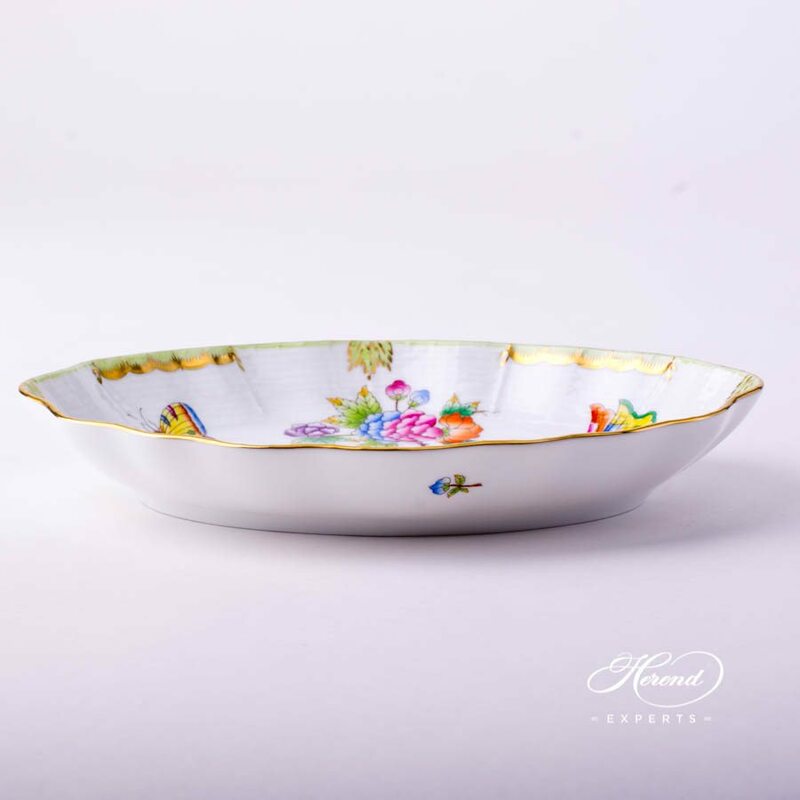 Queen Victoria VBO is available in Tea, Coffee, Espresso Sets and Dinner Services as well.